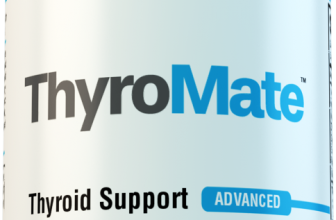 Thyroid Advisor is dedicated to analyzing the best thyroid supplements on the market in order to bring you comprehensive thyroid supplement reviews. We take all of our thyroid support supplement product overviews very seriously and each product is personally reviewed with great care. This is to provide you with enough information to make an informed decision, before spending your hard earned money. There are so many products out there that claim to solve all of our issues. Whether, those problems involve attention deficit disorder, better focus, weight loss, electronics, household supplies, clothing, etc, many claim to be the end all, be all solution, to our, specific problems. Unfortunately, not all of these products meet our high quality standards and expectations. In fact, some of these products and services are truly, “too good to be true.” I used to learn this lesson the hard way. Now, good or bad, I know I can at least give back to people,to help make a more informed decision. I remember purchasing one of the most useless weight loss and “thyroid support” products ever, wasting $80 for one bottle because instead of finding reviews, finding out more about a product, like through this site, I fell for some really good ad sales copy instead. I understand that it can be difficult to find comprehensive product reviews online, because I am a consumer, just like you. This is why I have created the product review and overview section. This will contain information and reviews about products that I have personally reviewed, and I will share my experience with you, regardless of whether it was positive or negative. Below are the best three thyroid supplements I have reviewed thus far. Be sure to check out the full list of our best thyroid supplements as well. The thyroid is a very important hormonal gland that influences your body’s metabolism, maturation, and growth. It continuously releases hormones into the bloodstream, helping control a myriad of body functions. When you need more energy or you feel cold, the gland produces more hormones. 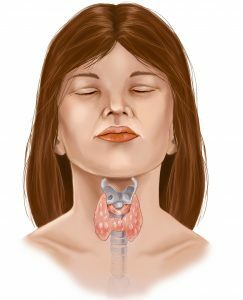 The thyroid regulates protein synthesis, the speed at which energy sources are used, and the body’s sensitivity to other hormones. It takes part in these procedures by creating thyroid hormones, the main ones being triiodothyronine (T3), and thyroxine (T4). The gland also manufactures calcitonin which helps in calcium homeostasis. The thyroid plays an important role in the body because without it, problems occur. You may suffer from hyperthyroidism, hypothyroidism, or even thyroid cancer. People suffering from thyroid diseases use medication and supplements to restore their health back to normal. An herbal thyroid supplement can be extremely helpful in reversing thyroid conditions.